Pile on the bangles this season! 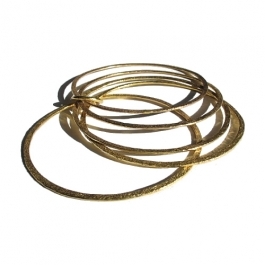 These handmade brass bangles from the Fair Trade collection have a battered finish and come as a set of 5. They will add a touch of glamour to any outfit!